Akai Force blurs the lines between contemporary music production solutions and next-generation DJ performance technology, setting the precedence for a new industry standard. Fusing clip-launching, step sequencing, sampling, synth engines and tactile touch screen control into a standalone, performance-driven device, Force combines must-have modern functionality with an ultra-intuitive workflow that harnesses your creativity for maximum expressive capability. The heart of your Force experience. 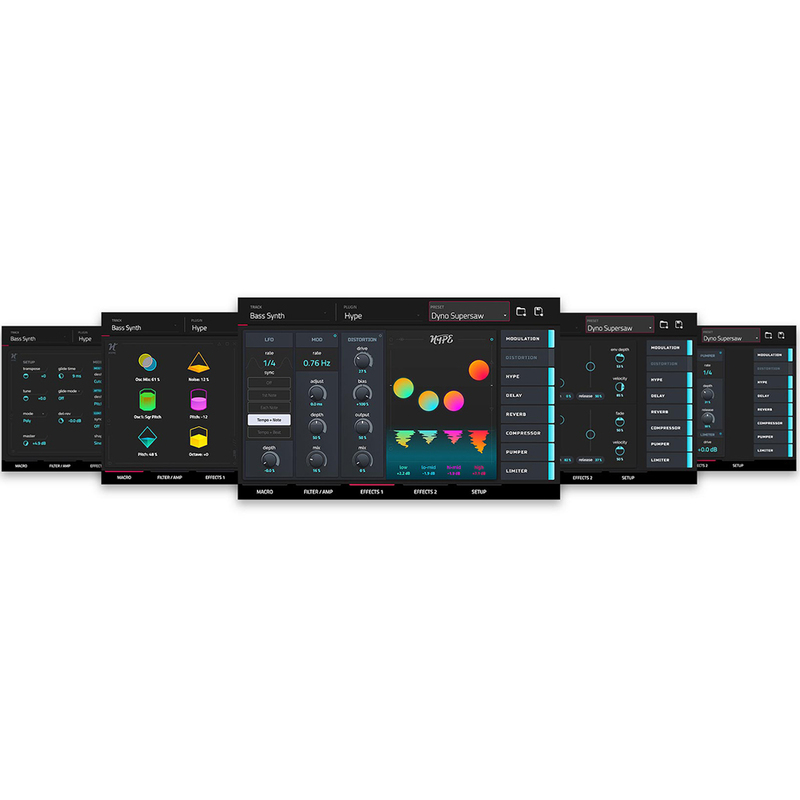 Launch Clips, browse your sounds, edit MIDI data, manipulate samples, apply XYFX, sculpt synth sounds and much more all from Force’s 7-inch full colour capacitive multi-touch display. Tactile control for an unrestricted creative flow. 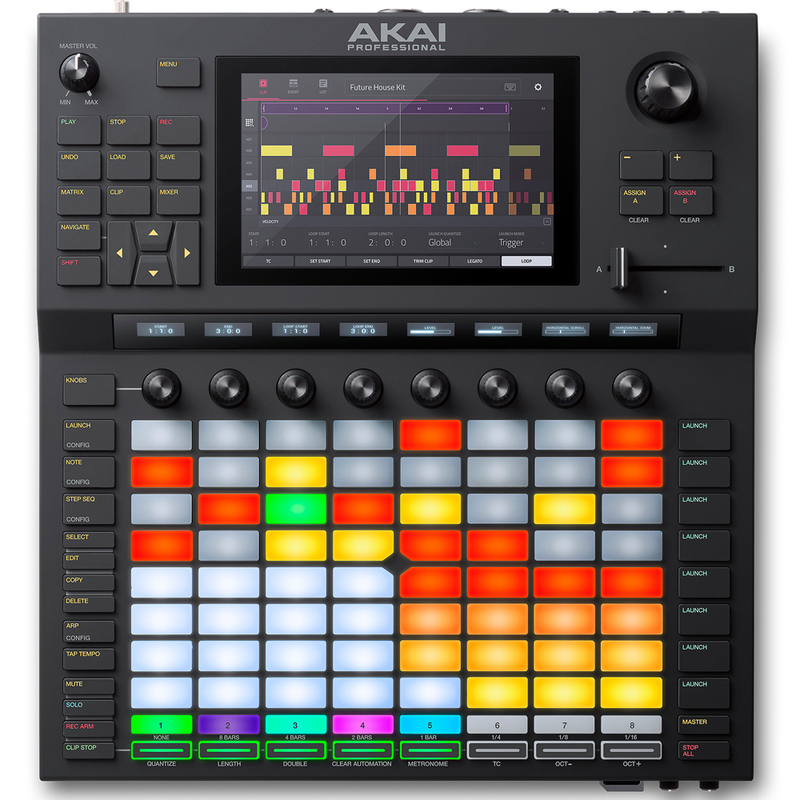 Trigger scenes/clips, step sequence, finger drum in MPC 16 Pad Mode and play note data with an expandable 8x8 clip launch matrix with radiant RGB backlighting. Discover new ways to enhance your performance via 360-degree rotary encoders with OLED feedback – smart assignments and multiple modes provide immediate real-time access to all core controls or link to any assignable parameter for a truly customised experience. Capture and playback any changes with real-time FX automation. Experience total control of your performance. Navigate your project, control clip/scene playback and access critical mix control (mute/solo/cue) right from the hardware with Force’s ergonomically-positioned controls. Load your samples from either USB Thumb Drives or SD Cards – there’s even a dedicated SATA drive bay for internal storage expansion. 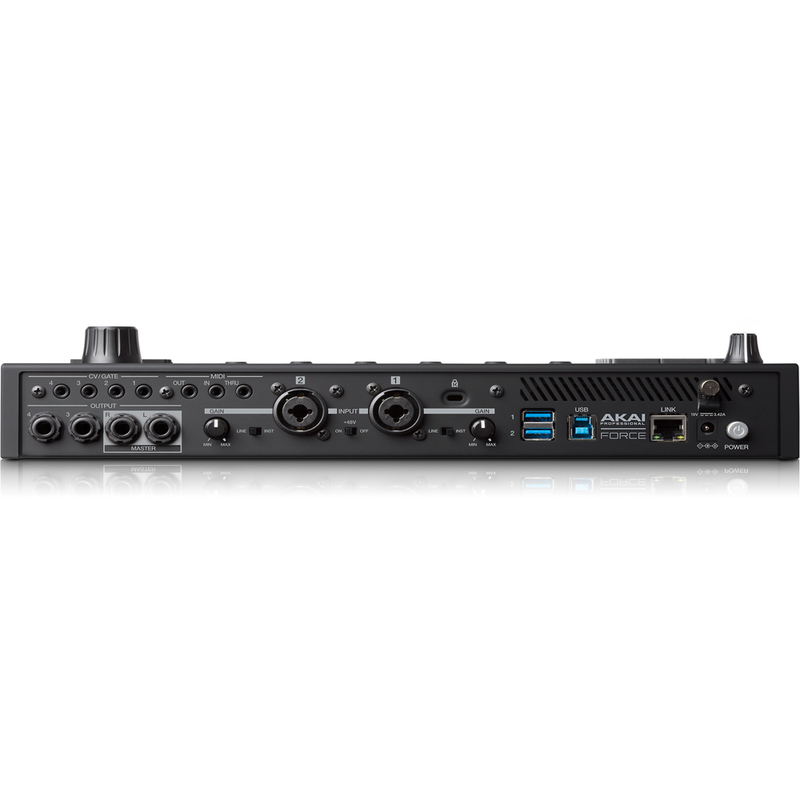 Capture audio with (2) XLR/¼-inch combo inputs with phantom power, switchable to line/instrument level. Route your audio to two stereo ¼-inch outputs, selectable per track within Force’s UI. Use the headphone out as a cue bus to audition clips / scenes. Take control of your modular gear with four independent CV/ Gate outputs and unite your peripheral MIDI equipment courtesy of MIDI In/Out/Through ports. Import multiple stems, then tune and time-stretch your content for immense mash-up potential – all content syncs to your master BPM so you never miss a beat. 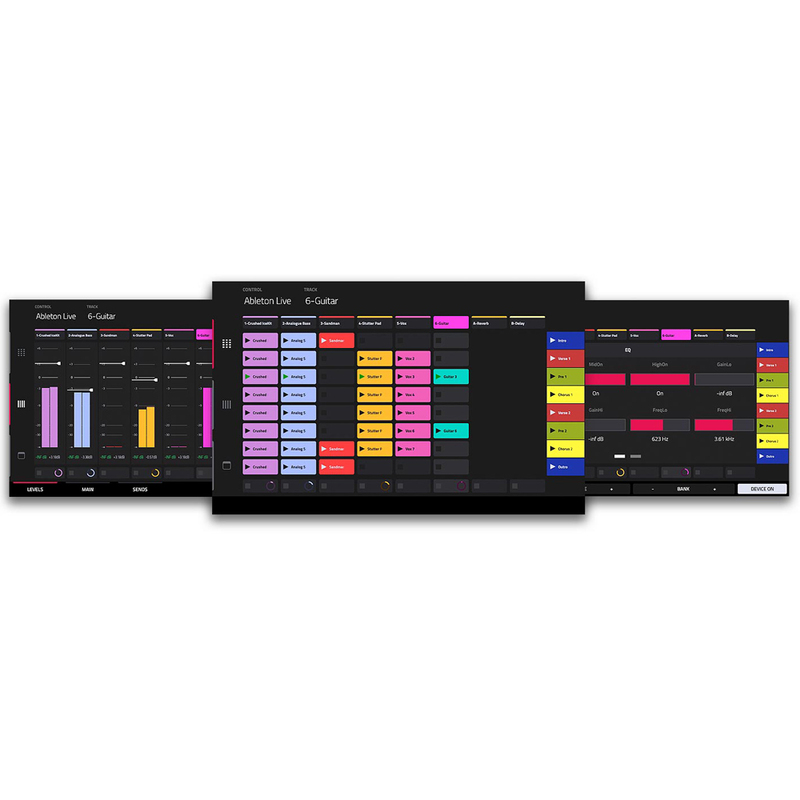 Seamlessly assign tracks to Force’s crossfader, load full tracks, stems or loops to Force’s 8x8 matrix - fuse with scene/clip payback for an unrestricted DJ experience. Add impressive flair to your sets by harnessing the power of Force’s multi-touch display and on-board XYFX. Apply filter, modulation and beat repeat effects in real time to individual tracks or select outputs. 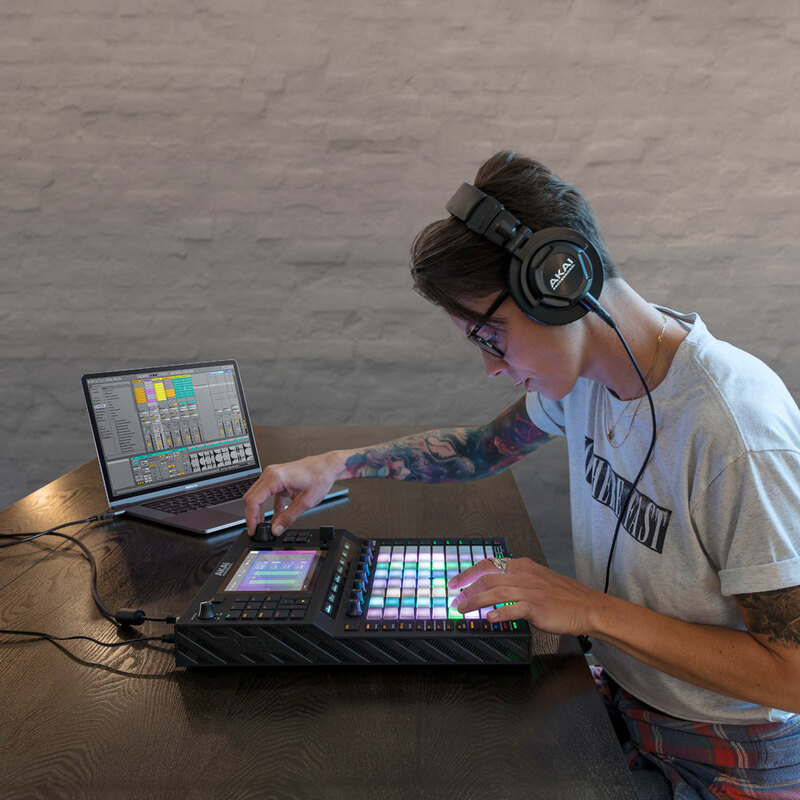 Connect Force to your wireless network and sync your project with any Ableton Link compatible application or hardware device, including our iconic MPC Series. Never miss a beat, thanks to Force’s dual custom real-time time stretch algorithms and auto BPM detection for effortless syncing of all audio within your project to your master BPM. The perfect drop! Prep your mix with dedicated cue assign controls and a cue mixer for all audio assigned to outputs 3/4 or via the cue-blend control on the headphone out. At the heart of Force is an intuitive clip-centric workflow that forms the creative core of your performance. Combine multiple Modes with Plugin Tracks, MPC-Style Drum tracks, Audio tracks, Keygroup tracks, MIDI tracks and CV tracks to define clip types, then sculpt clips via step sequencing, drum pad performances and note data. Capture Audio from the dedicated combo inputs, load/sequence samples from Force’s browser or resample from another track.